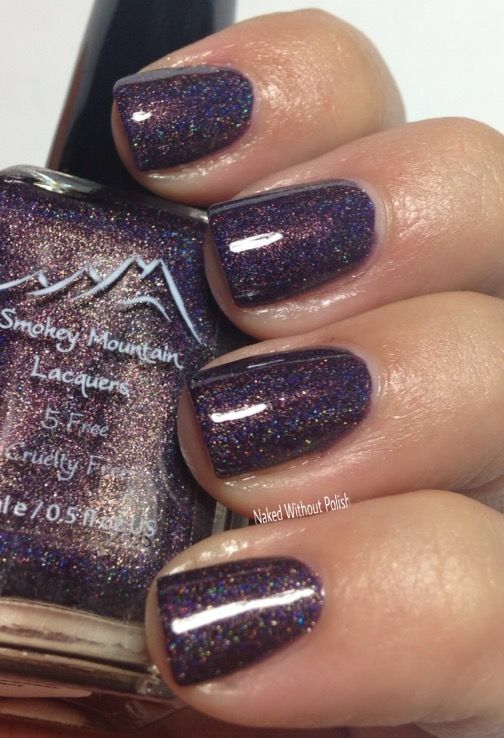 I was recently gifted my very first Smokey Mountain Lacquers polish. It was one of the beauties I've had on my wish list. I was beyond excited when it showed up. I was in tears. Such a wonderful gesture from a lovely friend I've met within the polish community. I couldn't wait to put it on. 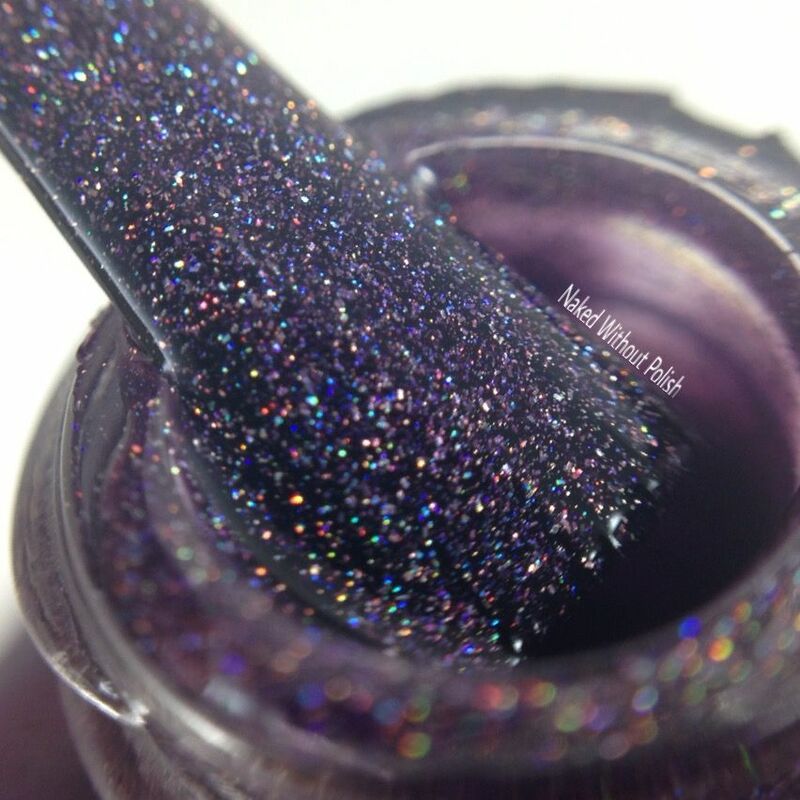 You guys...if you are a lover of purple polishes, YOU NEED Blackberry Jam. 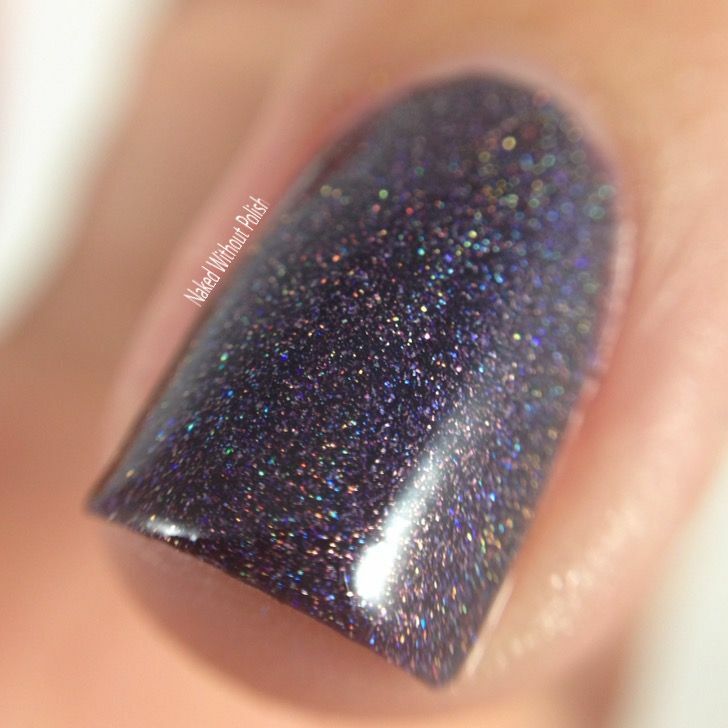 You ready to see just how stunning it is once you get it on the nails? 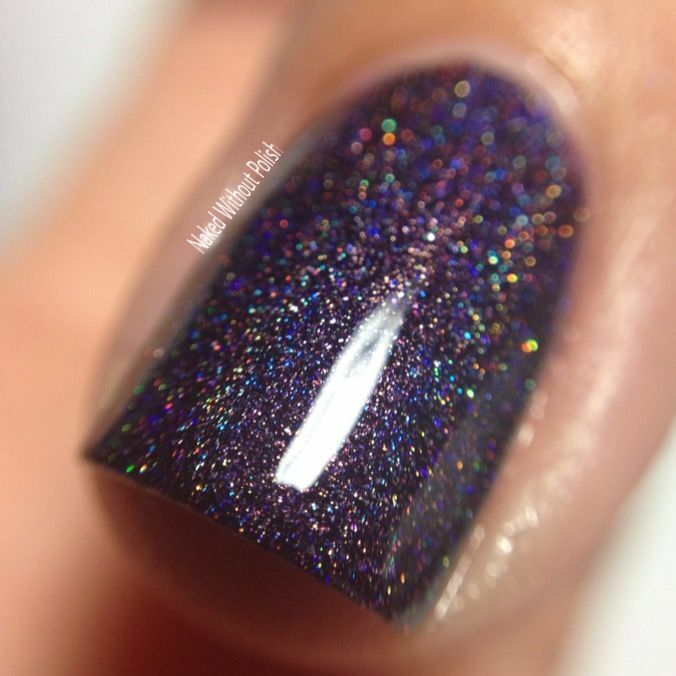 Blackberry Jam is described as "a gorgeous blackened purple holo". Shown is three thin coats of Blackberry Jam. The formula on Blackberry Jam is beyond perfection! It was so smooth, I barely had to do anything to get it to apply. 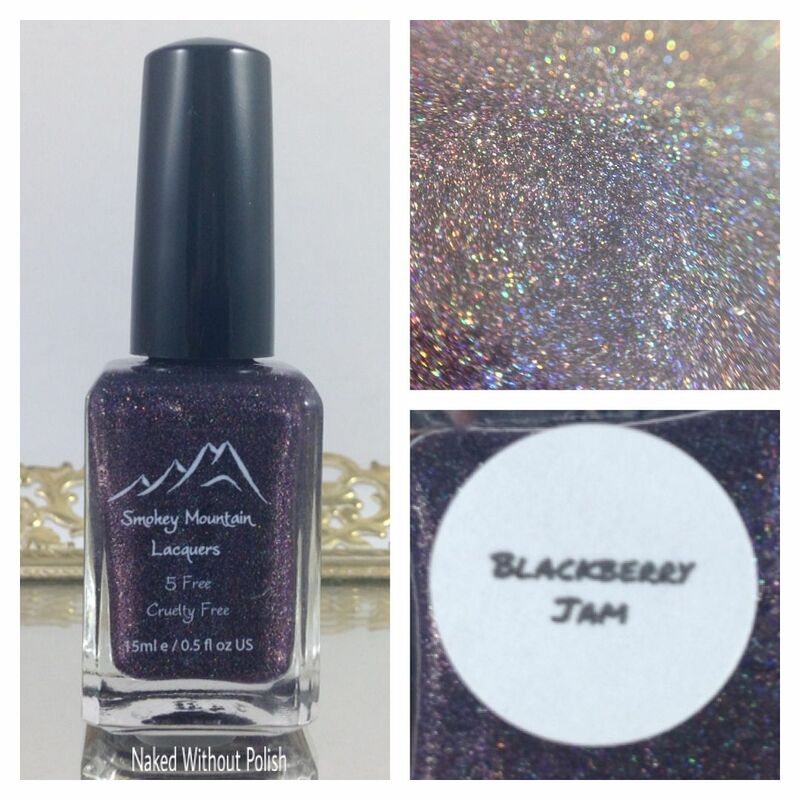 I am in love with Blackberry Jam and desperately need the rest of her beauties from my wish list. It is available now in mini (8mL) bottles for $6 and in full sized (15mL) bottles for $10. 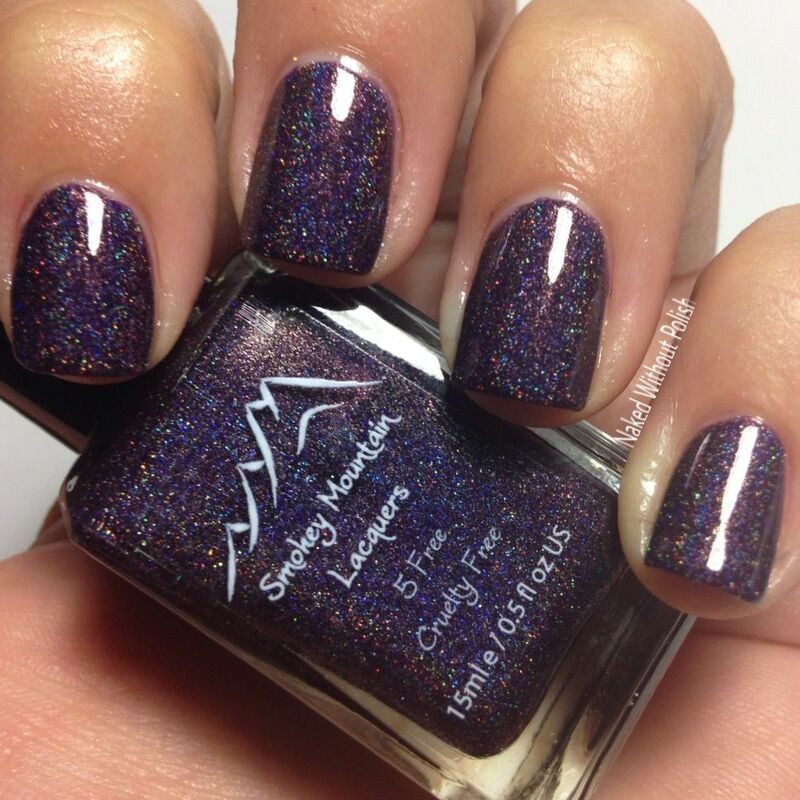 If you don't own Blackberry Jam or any others from Smokey Mountain Lacquers, I highly suggest you go check out her shop. She has something for everyone. What do you all think? Isn't she gorgeous?! And because this shot was too gorgeous to leave out. The hidden pinky-coppery shimmer is amazing!